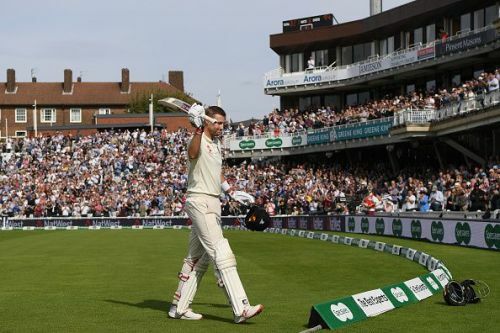 England are in complete command of the fifth and final Test at The Oval after reducing India to 58 for 3 which followed the massive run feast that saw Alastair Cook make his final Test match hundred. Starting the day at 114 for 2, Cook and Joe Root put the Indian bowling to the sword, eventually reach both their respective hundreds and the visitors soon began to feel like they never belonged in the contest. Set an improbable 464 runs to win, India found themselves in early trouble at 2 for 3 before a 56-run unbeaten stand between KL Rahul and Ajinkya Rahane calmed the nerves of everybody watching. You may or may not like him, but as he goes to bed this evening, Alastair Cook will be a content man. Playing his final international innings, the left-hander amassed 147 against his name to join an elite list of players to have made a century in their first and last Test matches. 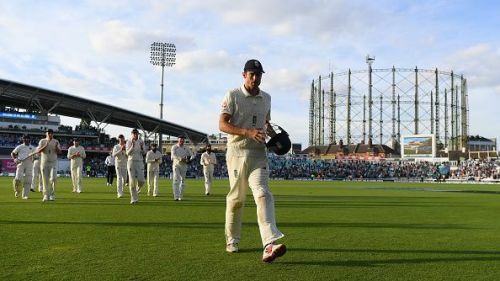 It was an emotional day for everybody present at the venue as they bid farewell to arguably their greatest ever batsman and there's no doubting the fact that Cook leaves a void which will be extremely hard to fill in the coming days. While the large part of the focus for the entire day was on Cook, at the other end Joe Root was playing his part to perfection as well and after a long time, we saw the batsman we so wished to see right through the series as Root brought out his free-flowing game and amassed his first century in over a year which helped set up the platform for his side.